From Notre-Dame, we will go up to the end of the Island ( see Ile de la Cité) and we will take the Pont-Neuf bridge towards the left bank. We have reached the far end of the island, gone onto the bridge Pont-Neuf, then under a big porch which leads to the old, dark and narrow rue of Nevers, which dates from 13th century. Let's stop below the porch, and read the verse on the painted arch. This is an excerpt of a text written in 1638 by a young French poet Claude le Petit who described Paris as "Ridiculous Paris". What it says is that the bridge Pont-Neuf was a resort of thieves; it is easy to picture them at the view of the street. Don't you see them coming from this old street, armed with a cosh to scare and rob the lost passerby? 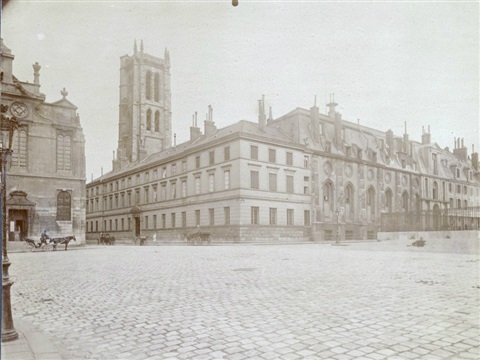 In the 13th century, this street, with the houses behind the bars, was lining the Hôtel of Nesles (replaced later by the Hôtel of Nevers) and the Convent of Grands-Augustins. We are now walking in front of the Gallo-Roman Thermes de Cluny (Palace of Thermes), built around the beginning of 3rd century, where we can still see today imposing ruins, like the frigidarium. The palace then became residence of the Frankish kings. Later by 1330, it was bought by the Cluny abbot to become in the fifteenth century their residence until the French Revolution. In 1833, Alexandre de Sommerard, passionate about Middle Age and Renaissance took over a part of it as a place to house his collection. On his death, City of Paris bought altogether his collection, the hotel and thermes de Cluny and created the Museum. 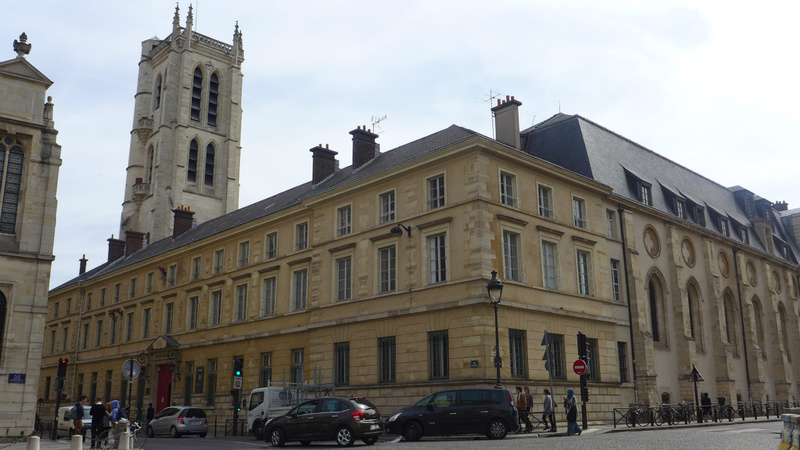 All the medieval collection acquired by Sommerard is still in the Museum, while his Renaissance collection was relocated in the Museum of the Renaissance at Ecouen. Take the time to visit the Musée de Cluny where you can see notable works which were nearly lost like the porch of the chapel of the Virgin in Saint-Germain-des-Prés, or the imposing heads of the kings of Juda statues from Notre-Dame cathedral which were rediscovered in 1977 by chance. 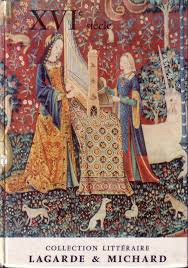 Musée de Cluny is also famous for the fifteenth century tapestry cycle : the Lady and the Unicorn depicting the five senses and love. Let's follow rue of la Montagne-Sainte-Genevieve, then rue Descartes to the Henri IV college. 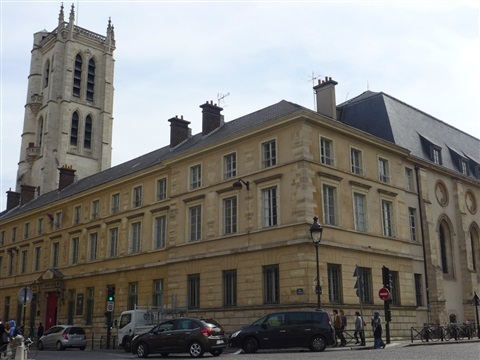 This prestigious high school still retains some remains of the former Abbey of St Genevieve, rival of the Abbey of Saint-Germain-des-Prés by wealth and size. From the abbey built in the 13th century, we can see today the monks dining hall (which has been transformed into the school chapel) and the Clovis tower which was the bell tower of the abbey church. When rue Clovis was created in 1807, the church was demolished, except the Clovis tower. The Sainte-Geneviève church was built during the 12th century after the destruction of a former church built par King Clovis in 510 where he was buried in 511, near the tomb of Sainte-Geneviève, patron saint of Paris.